Can you complete the Uno game by playing a valid card at each step? The game begins with players 1, 2, and 3 taking turns in that order. 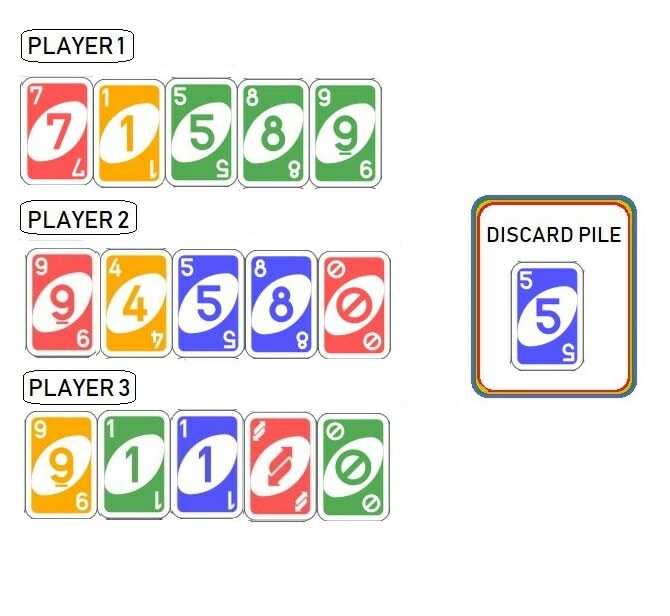 At each turn, a player discards one card that matches the color or the number of the card on top of the discard pile. Skip matches Skip, and Reverse matches Reverse. Reverse reverses the direction of play. Skip skips the next player's turn.